Best CD in the history of the world!...Ever! Wow is this CD incredible! Not only does it have the hit single "meant to live" but it has one of my favorite switchfoot songs, "dare you to move" re-recorded, so it's alot crisper. But what I love most about this album is that is has sooo many cool extras like a never before released track "monday comes around" and it also has cool DVD clips to watch! All in all, this is the most fantastic CD purchase I've ever made. Not only that, but the Special Edition DVD really lets you see who the band really is. Switchfoot is not like any other band out there. The DVD has a music video on it and interviews from the band as well as some of their fans. You really get to see Switchfoot exposed! The sticker looks great on cars, guitar cases, books, lockers, walls, you name it! It's an added plus! This special edition CD is a must have! It's one of the best bargains I've gotten in a while! I love switchfoot! I can't wait to get their album. Not only ar they a great band, but they are Christian as well! I got this album yesterday and I love it so much. Switchfoot is one of the best bands. This album is excellent from start to finish. The dvd is equally good and my favorite part is when Jon gives an acoustic performance of "On Fire". I can honestly say that every song is great. Everyone should get this cd/dvd set. It won't let you down. I love Switchfoot. Stellar. There is no equal. David Crowder Band's new CD "Illuminate" hits the highest highs and never lets go of the excellence it portrayed in its original small release album. Those unfamiliar with DCB should know that its hallmark is creating modern worship music that rocks the house at the same time. Fused with techno-beats and returning heavy guitar sounds, the album is an excellent collection of songs that is worth getting. 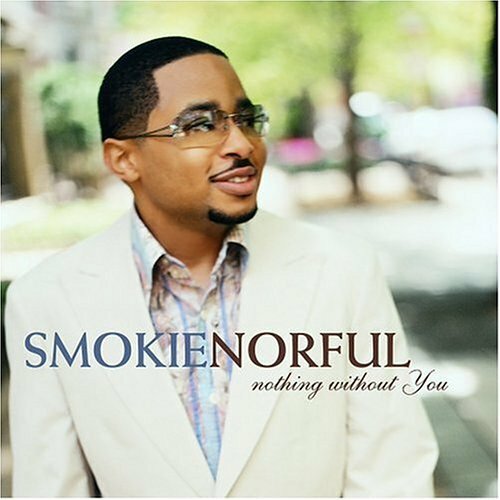 Sure-fire hits are: "O Praise Him", "Revolutionary Love", and "No One Like You." In addition, David Crowder's lyrics and one-of-a-kind voice never fail to inspire awe. Even more comprehensive and diverse in sound than their second album "Can You Hear Us? 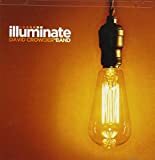 ", "Iluminate" has plenty of songs to keep you on the ledge between sheer worship and modern rock, enjoying every moment along the way. While I hae to agree with all of the great reviews on this site, I think this CD goes WAY beyond the music. Yes, the music is great, the production quality outstanding, but the spirit behind these things is so beautiful and pure. A trait that is lacking even in much of the other music of the same genre. God is clearly here. What David Crowder (& Band) has successfully communicated through this amazing piece of art is complete surrender to the glorious and beautiful Being of God. I haven't been able to stop listening to it since I purchased it several weeks ago because the very essence of God inhabits the intimate spaces carved out in these songs. How appropriate. God inhabits the praises of his people, and so I am continually drawn into a deep, living God Space when I listen. And that's exactly what true worship should be. THIS is a band that really gets it. I bought this CD when it came out, after DCB was the worship band at our church camp in Colorado Summer '03. They're awesome. Their music is very unique and powerful. I love being able to worship with them. I finally picked up this CD yesterday after hearing and loving "O Praise Him" for almost a year now,and I have yet to take it out of my CD player! I'm almost kicking myself for waiting so long to buy this CD, but the self-imposed wait was definitely well worth it. The album starts out with a call to worship in "Sparks Fly," and then the sparks really do fly once "Revolutionary Love." The overwhelming kinetic and frenetic energy of "Revolutionary Love" continues all the way through the first half of the CD, and it's not until "All Creatures #2" that sounds begin to cool down, but by no mean to they lose their fierce intensity. The band melds all their instruments so well together, from guitars to drums and everything in between. They produce a strong sound that's addicting to listen to, and David Crowder's voice soars above them all with a crystal clear clarity. Perhaps the biggest draw of this CD and the band itself is the honesty that rings throughout all the songs. These guys not only play incredibly joyous and uplifting music, you can tell they truly believe the words they are singing. 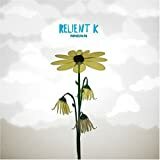 It rings clearly in their voice that they came into the studio not to merely to record a CD but to worship the Lord, and this CD is not some formulaic album like most of pop (including Christian pop) records offer; this album has a wide variety of hard rock, alternative, soft/meditative music, and a whole host of other musical styles. For a joyous, real, and inspiring addition to your library, be sure to pick up this CD! David Crowder has done it again! 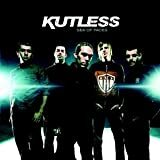 I thought I could not be happier with Kutless when I first heard their debut cd. They came strong with heavy rockin beats and a loud solid voice. Put this together with such diverse Christian content throughout the cd and i was hooked. I really thought I couldnt be happier. Well I was wrong!This album is better by far, even though i loved, (and still love) their prior one. This "Sea of Faces" album kept everything from their debut but added more of a diversity of musical sound from the band and voice from lead singer Jon Micah Sumrall. Songs "Not What You See","Treason", and "Let You In" are reminicent of the hard sound of the first cd and "All Alone" is representitive of the quieter more reflective side. This song is similar to "Run" which is also from God's/Christ's perspective, Him talking to us. "All Alone" (track 2), is also where I first jumped back and said whoa! Change is good! This song starts out melodic and stays melodic with some rockin guitars finally kickin in. Like Rob Beckeley from Pillar Jon Micah Sumrall has worked on his vocals and cut down on the raprock. He could scream/sing great and his regular voice was fine for rock but this song as well as others show how he has grown. Favorite Songs? "All Alone", "Sea of Faces", "Passion" (if Mel Gibson ever made a musical for The Passion of the Christ, then this is would be the main song no doubt). Those songs along with "Treason" and the worshipful "All the Words" round out my favorites. This cd is not just diverse in musical sound but in lyrics as well. The songs range from blatantly Christian with "Passion" and "Sea of Faces" to "Perspectives" and "Better For You" which are positive songs but has no real discriminating Christian content per say, but Im sure you could argue they are inspired from scripture if you listen to them. In other words those songs could easily be played on secular radio and no one would know these guys were Christian Rock. That being said the ambiguity of those two songs is the only step down from their debut cd and why I wont give this cd 5 stars. (I rarely give 5 stars)Bottom Line: As a whole this cd is better than the first and thats sayin alot since the first was so awesome. However where the debut was strong "Sea of Faces" is magnificent! I awaited two cds this year this one and "Where Do We Go From Here" from Pillar. When I listened to the Pillar cd although the music and sound was great I was let down and saddened by the immense lack of christian content. The few Christian songs it did have were weak in content which was a complete 180 from Fireproof. Where Pillar lacked in lyrics, Kutless came through. For the people who dont like this album because its too different from the first one, i understand their points of view but I plan on growing with Kutless with each release. Kutless has put out a great album with Sea of Faces. These guys can match and beat most secular groups out there. And they do it without compromising their messsage or lyrics. Many of the tracks are hard-hitting rock songs, while a few are slower, more sedate songs. I prefer the former, but it just shows you they have that compability. Passion is by far my favorite track. If you've seen the movie by the same name, it will bring many images from it to mind as you listen to the chorus. The opening three tracks round off favorites from the disk, but the rest is also very good. In my opinion, this one is better than their first album and a must for christian rock fans or anyone looking for rock with a positive outlook and meaningful lyrics. BTW, the only reason I didn't give this album 5 stars is because I dont give out 5 stars to pretty much anything. I'd probably give this one 4.5 stars if I could rate on that scale. This is not a bad album at all. The problem becomes that it is a christain one. 100 years ago before humanity had advanced into an era where we do not still do not believe in such heathen beliefs, this album would be acceptable. None the less, it is good music, and if you can get past the horrible lyrics, (even if you do believe in this stuff..., they are still absolutely attroucious - I suggest you listen to atomship) he is a good vocalist, and the band plays together well. It's So Good, It's Shocking! Wow! I was completely blown away by this CD. Especially when comparing it to Kutless' previous self-titled debut, "Kutless". This album was definatly twice as good. From the moment I heard Kutless the first time, I knew they could be great, but their debut didn't just cut it for me (kinda like Switchfoot's first album). I figured if they could last long enough, they might be able to make an amazing album, but I figured it would be several years before that. But then, here it is, Kutless' sophmore effort, Sea of Faces, and I must say that I was caught off-guard, but in the good way. This is definatly going into my "Favorite CD's" collection. It belongs in yours too. Just another praise CD . . .
with all "yeah God" lyrics. This CD is good, but could have been much better. First of all, it's missing the strange, yet spiritually deep lyrics that we all know and love about the Newsboys. I think it's great that the 'boyz want to become a more God-centered band. . . I'm not knocking that, it's just that praise music isn't necessarily always more God-centered than other music. Secondly, the quoir took away from the mood in Father, Blessed Father, when the quorus changes to that of Breathe. This was a time to be reminiscent. The quoir should have faded and left Peter, Phil, and Jody harmonizing achapella. And lastly, this CD didn't say anything that hasn't already been said, with the exception of the title track. I just hope that their next CD will be as good as Thrive was, not another CD that has two covers(Amazing Love, In Christ Alone), two live tracks (It Is You, Lord), and one re-written song (Take My Hands). With the exception of "You Are My King (Amazing Love)" and "In Christ Alone", all of these songs were written by the Newsboys lead singer Peter Furler and Steve Taylor. You know how well they can write from previous albums. It's nice to see producer/writer Steve Taylor back with the Newsboys. Before I cover the songs, let me say that the lyric sheet included with the album is cool because it lists all the guitar chords above the words of most of the songs. So get out your guitar and start playing (just don't break any copyright rules and play in church without proper permission). The band starts off with "He Reigns", a very catchy praise song that you have probably heard on the radio. Then it is followed by a powerful and soulful rendition of "You Are My King (Amazing Love)". "Great Is Your Faithfullness" is not the traditional hymn you might have thought it was, instead it's a kind of medley of a few songs put together in an entirely new form. You'll recognize "Take My Hands (Praises)" from the album Shine The Hits, but it's got new words and a different mix. Follow that with "Adoration" which would make a great Christmas praise song (there's not enough of those!). It's sung from the perspective of someone at the stable in Bethlehem. "In Christ Alone" is a melodic catchy hymn. Then they follow with live version of hits from the album Thrive "Lord (I Don't Know)" and "It Is You". "It Is You" was recorded live at the Rock 'n Roll Hall of Fame and is very good. Next is another new hymn... "Father, Blessed Father". Also a catchy tune which include the chorus from "Breathe" (album Take Me To Your Leader Now). It is very tastefully included. The album ends with "Hallelujah", a longful thought of what it'll be like when we're standing in heaven singing. I've been listening to the Newsboys since I took my daughter to their 'Step Up To The Microphone' concert, where I also heard Third Day for the first time. I've liked them ever since. This CD of worship music is worth having if you like your worship with a modern, driving groove. It's the Newsboys sound for sure. These guys are great in concert and the energy translates here. Don't expect to hear it on Sunday morning, but if you like to have your worship in the car or in the house all week long, you should get this CD. I received this album as a gift; and what a gift it was! It's wonderful how much 'Adoration' is offered up to the Lord in this modern musical masterpiece. Though only 10 tracks long, those tracks are strong enough to warrant recurring repeated play. It's hard to pick a favorite from this lot, but coming from an a cappella worship tradition, In Christ Alone strikes a deep, resonating chord within me. Newsboys took this Getty/Townend gem and breathed just a touch of their own rock/pop soul into it. Strip the instrumentals away, and you'd still have a classic and POWERFUL congregational worship song as it was intended to be. It offers just the right counterpoint to the more trendy tracks on the rest of the album. I've enjoyed plenty of 'Good Stuff' from the Newsboys' past releases, and this album continues that tradition in fine form. Another solid Offering from an already legendary band. Having listened to alot of Third Day music over the years and seen them in concert a couple times, I can attest that their live performances are much more powerful than their studio recordings -- kind of like going to church with 10,000 of your closest friends. Thus the Offerings "series" (only two CDs so far), which combines mainly live recordings of songs done at their concerts with some newer studio cuts. Most of the live recordings are of more familiar titles from earlier albums. In Offerings II, we get concert cuts of old faves like "Take My Life", "God of Wonders" (with help from Michael Tait), and "Show Me Your Glory", not to mention a totally jammin' rendition of the old Rich Mullins classic, "Creed", done it the unique Third Day style. On the newer side are tunes like "Anything," the very catchy "Sing a Song", and the title track, "Offering." This last one is especially beautiful and moving, and epitomizes Paul's admonition from Romans 12:1 to "present your body as a living sacrifice" to God. It's also readily adaptable for play in the small group worship setting, as is "Take My Life". Overall I can't say I was "floored" by this CD, but there are definitely some great songs on it. 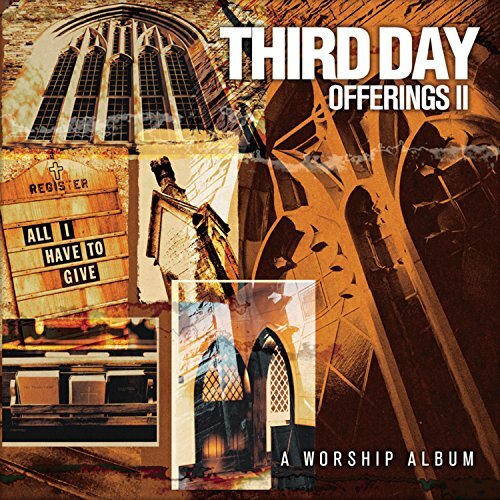 This CD is just another good reason to remain a fan of Third Day, and I look forward (hopefully) to hearing Offerings III. I have only been into Third Day for a couple months and i have a few cds. My favorite one was Come Together. Offerings 2 is my second favorite, but it had to grow on me a little bit. I wasn't amazed when i first heard it but after listening to it a few times i really appreciate the music and the lyrics. "May Your Wonders Never Cease" is my favorite track, and i also like the Medley song. I have to disagree with the other reviews and say that i think the live versions do sound different and "Nothing Compares" (live) is really good. The live versions have alot more energy than the original recordings. 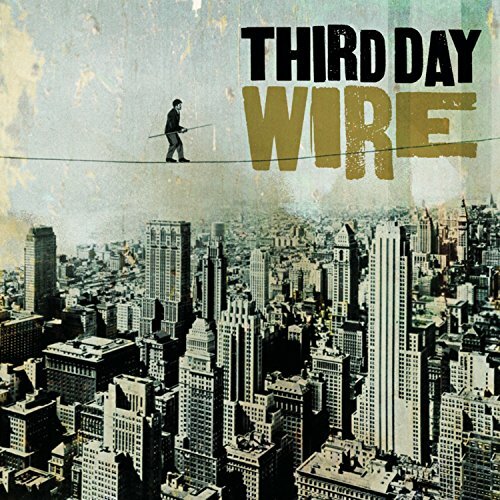 I lead worship at a few Bible studies and i am thankful for Third Day's songs. I use them alot. I hope that their next cd is like Come Together but i wouldn't be dissapointed with another worship album, either. And i also find it ironic that they call offerings "a worship album," because i think all of their cd's are worship albums. anyway, it is a very good cd and the more i hear it, the better it gets. This past summer I went to Guatemala on a mission trip. We were told not to bring valuables, so not many people brought CD's and other music. We ended up only having one CD, Offerings 2. Throughout the two weeks we listened to it whenever we could, and we never got sick of it. And I must admit,I get easily sick of CDs. I still listen to it, from worshipping along with Offering, to belting out loud Creed. Every single song on here is worth buying, even if you are not a big Third Day fan. I've been a Third Day fan since "Conspiracy No. 5", and I have enjoyed each CD the band has released. "Offerings II: All I Have to Give" is my overall favorite. I have also enjoyed worship & praise songs lyrically, but with the "Offerings" releases marry worship lyrics to some music that I truly enjoy. I love 3D's treatment of Rich Mullins' classic "Creed" (a musical version of the Apostles' Creed). Some other outstanding tracks include "Sing a Song," "Offering," "Show Me Your Glory," "The Everlasting" & a medley which includes "Give" & "Your Love Oh Lord," plus a chorus or two of the hymn "Turn Your Eyes Upon Jesus" and even a portion of U2's "With or Without You." 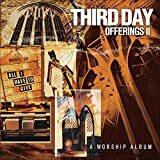 "Offerings II" is a solid record from Third Day, and I would love to see a third installment in this excellent worship series from one of today's greatest bands. 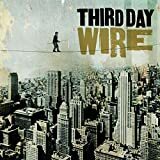 I didn't know too much about Third Day until this CD came out. They were pretty popular among Christian rock fans, but I wasn't really a Christian rock fan at the time. When this CD was released, I became a huge Third Day fan. 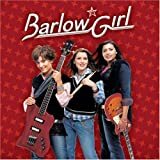 With hit songs such as "King Of Glory" and "These Thousand Hills", along with several fan favorites and an excellent cover of Bob Dylan's "Saved", this CD is a must have for any Christian music fan. 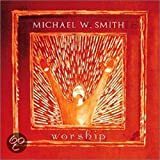 This CD was released prior to the big "Worship album" craze, and unlike many worship CDs, most of the songs on here are ones that lead singer Mac Powell wrote himself. I am so grateful for Third Day! As a long-time rock/blues fan (I love a variety of quality rock/blues from Grateful Dead, Santana, Lynyrd Skynard, and Rolling Stones to Stevie Ray Vaughn, Bob Dylan, Dire Straights, and basically anything played on most classic rock stations) and a fairly new Cristian (I accepted Christ as my saviour about two years ago) it has been frustrating for me to tune into Christian radio and not be moved by the music (even if the lyrics are Christ-centered) Then I happened to buy a used copy of Third Day's first album. FINALLY, what I have been longing for! -RELATABLE music where both the music and the lyrics make my heart sing for joy. This is the type of worship music that will help reach this generation that grew up on classic/ alternative rock. As for Offerings- it is a wonderful, amazing album. All the tracks are great but my favorite is the masterpiece, "King of Glory" - I am shocked it has not been mentioned more often as the best song on the album, but I suspect it will become one of the most requested Third Day songs and also one many churches will use in their worship service. I've been a Third Day fan for about 7 years, beginning with the "Conspiracy No. 5" CD. I have enjoyed each of 3D's releases, but the "Offerings" worship projects are my overall favorites. Third Day takes worship, praise-filled lyrics and combine them with some truly amzing music. In addition to live versions of some of their own worship songs, Third Day also gives their version of Michael W. Smith's "Agnus Dei" combined with Don Moen's "Worthy," and I love 3D's treatment of Bob Dylan's "Saved." Some other great tracks include "These Thousand Hills," "Your Love Oh Lord," "My Hope is You" & "Thief." 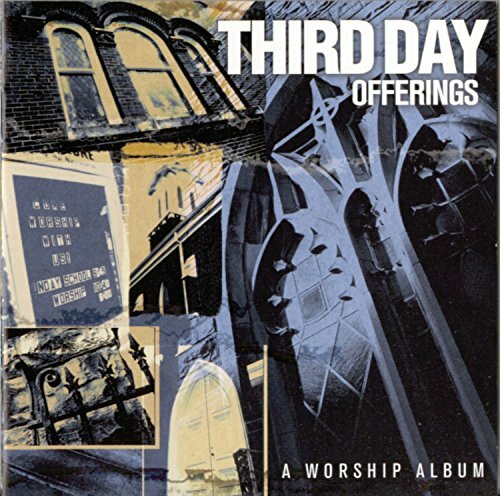 These worship projects are my favorite CD's from Third Day, and I would love to see more installments in the future. This is one of my Favorite Cds ever! I've only recently started listening to christian rock regularly, and one of the first cds I listened to was Third Day's "Offerings." I had no idea what I was in store for. This cd has remained one of my favorites over the last year because of its southern style and its mixture of slow and fast worship. "King of Glory," "Agnus Dei," "Consuming Fire," and "Love Song" are all songs that I can't get out of my head once I've listened to them. I highly recomend this recording to people who are looking for a nice blend of slow tunes and fast fun tunes. This CD is about giving glory to the King of Kings! You can feel the worship from beginning to end of this amazing piece of work. Mac Powell has amazing vocals, and his band is able to match his talent with some of the smoothest playing on earth. This group is just as good in live concert as on any CD. Offerings is musical genuis! No other way to put it. The combination of older songs, live songs, and new songs, make for a great addition to any music lover's collection. The first song, King Of Glory, ask the question (and answers it), "Who is this King of Glory?" and then rushes to tell us about Him; great entry for a great CD! Of course, my favorite song is "Your Love Oh Lord"! I love driving around with my stereo turned up loud enough to shatter my windshield while that one is playing...if you have heard that song, you know what I mean! "Saved" (trac #5) is a fast-paced, southern-sounding work of art. The piano is great on this one. "My Hope Is In You" (trac #6) hands it all over to the One in control; it's one of those songs that piles more power upon more power until the end. I call them BUILD-UP songs - stronger beat and more feeling with each note! 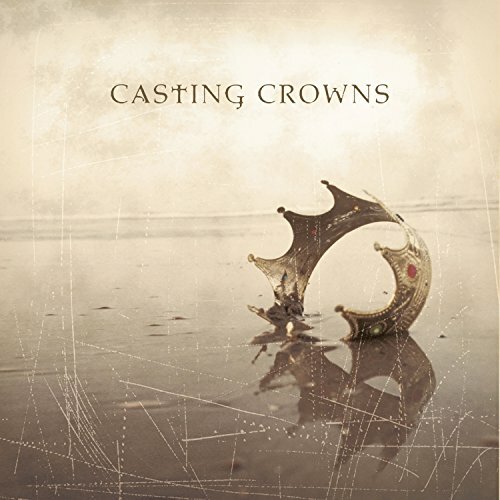 This is a GREAT worship CD. If you like Third Day and you don't have this CD, click the BUY button. You need to add this to your collection! 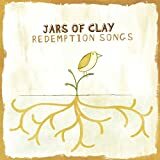 After listening to all of Jars of Clay CDs, I believe this title,the first of the pack, to be the best. The lyrics, written somewhat like poetry, make the CD worth listening to over and over and over. We've owned this CD since 1995 and it continues to get played every week in our house. The lyrics are sometimes obscure; which I love to listen to and try to figure out the orginal meaning the band was trying to get across. Depending on the mood I'm in, I can find a different meaning for the same song. I never knew this CD was popular on the pop radio stations. 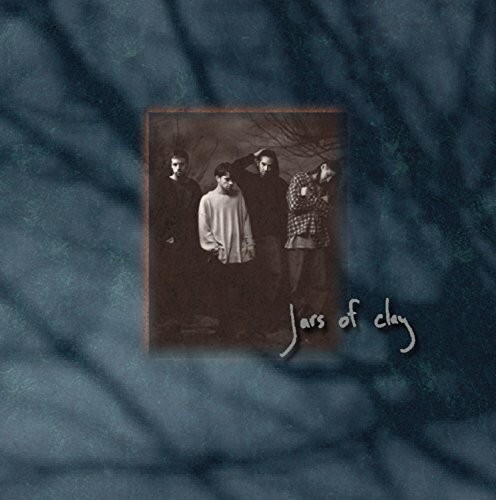 It doesn't surprise me since Jars of Clay is no typical Chrisitan band. "HE" tends to be my favorite song with its soulful woes on the pain of trying to be perfect. The times when I feel the need to connect with God, I turn off the lights, sit in my glider rocking chair, and close my eyes while listening to the lyrics glide with the music playing. Time after time, I find tears running down my face by the end of the CD. When I was in labor with my first child last year, this CD was the only type of music I could stand to listen to. I turned up the volume full blast, shut my eyes, and endured the pain. That is what this CD makes you do - shut out the outside world and focus on God! It was "Flood" that first got my attention a few years ago. The blend of violins with quick acoustic guitar strumming together with the lucid, smooth vocals of Hastletine was something that set it apart from the stale mainstream music that we were habituated to. Each song in this album is a gem in its own little way. "Liquid" sets the tone with a Gregorian chant cleverly pasted in, and a catchy tune with a lively beat. "Like a Child" is another track that has Jars Of Clay written all over it; well-textured music that will keep you interested right through. Listen to "Art in Me"; beautiful poetic lyrics with a perfect melody to go with. Violas and oboes accompanying guitars and percussion showcases the richness and meticulous thought that JOC put into this record. There's a catchy little segment on the 7th minute of "Blind", so let that CD play right through. This is an album I cherish, I place it very high in my growing CD collection. I don't want to compare it to any other band because for me, they are incomparable. When they do make something, they make sure they do it right. Boom, Boom, Chicka, Chicka, Boom, Boom, SNAP! How long can a synth drum beat boom if a boom could chick chick boom? 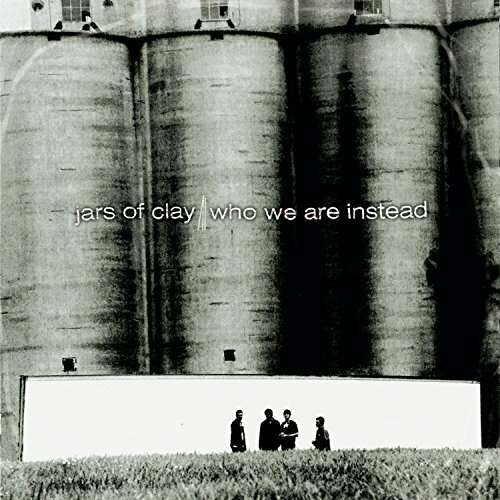 Unable to afford a $100 drum kit, Jars of Clay decided that it'd be best to self-produce all but 2 of the songs on this album and I can't say I agree with that decision. "Liquid" and "Flood" reflect the social atmosphere of the world with bands like Nine Inch Nails (same producer) and Pearl Jam at their prime. Well mixed, well played and well performed, these two songs are what attracted me to Jars' sound and have made me a fan since '96. But the other lyrically AMAZING and HORRIBLY produced songs on this album leave a bad taste in the mouth. After listening to "Like a Child", "Art in Me", "He" and "Boy on a String" you are going to despise two things. First, the idea of over-dubbing inaudible little children's voices and that stupid crappy synth beat. As a Jars fan, it makes me cry to think of the potential these four songs could have if decently recorded. When the drum beat kicks in on "He", you just pretty much give up. It's not until "Worlds Apart" do you hear the chance that this band is more than just special. As one of the all time best songs in my life, "Worlds Apart" sneaks in and Stairway to Heavens us to death, it's breath taking. In all, this is a debut album that marks an important journey for Jars. If you don't mind a good old bumpin while listening to an album, I highly recommend it. what can I say, I'm a fan, and this cd is one of they're best, it's just Awesome! 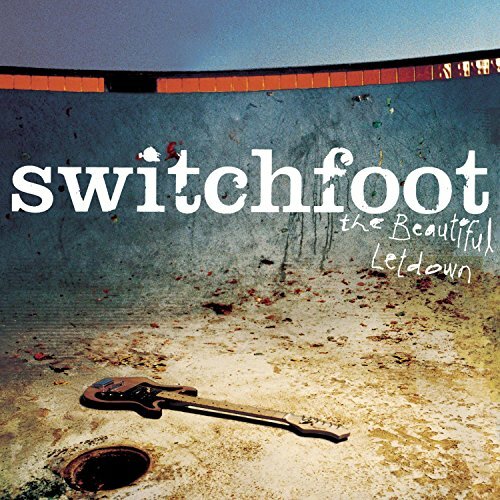 Switchfoot's latest album "The Beautiful Letdown" has proven to be far from one. This is their most polished sounding album to date along with their usual catchy hooks, sizzling guitars, and heartfelt medleys. 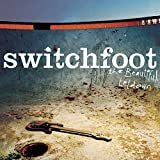 Switchfoot has switched over to Columbia records on "The Beautiful Letdown", but they have stayed true to their own style and lyrics. When Switchfoot's first CD came out I was hooked, by the second I wanted a guitar to play along, third I had a guitar, and now for their fourth I can play along. That's just what they do to you! Jon Foreman is lead vocals, lead guitarist, and writes all of the lyrics. He won the 2001 Les Paul Horizon Award for up and coming guitarist. Tim Foreman plays bass, does BGV's, and also co-wrote three of the songs on the disk. Chad Butler plays drums. Jerome Fontamillas is "the new guy" on the disk playing piano, keys, and guitar. 1.) Meant To Live ~ Starts off the new disk with a boom. "We were meant to live for so much more. Have we lost ourselves?" 2.) This Is Your Life ~ You'll love Tim's bass on this one. It pushes us into a contemplative thought on our own position in life. "This is your life. Are you who you want to be?" 3.) More Than Fine ~ Snaps us back into happy mood with it's flowing pop/rock style and light hearted feel. "More then fine, more then just okay." 4.) Ammunition ~ Back to the rock! This tune really puts you in your place. "We've been blowing up. We're the issue. We're ammunition." 5.) Dare You To Move ~ Don't even think about saying, "Why is this same song on here again!". They have completely re-tracked it. Most people I talk to agree it's better than the original. "I dare you to move like today never happened before." There are no excuses after listening to this song. 6.) Redemption ~ "I've got my hand in redemption's side whose scars are bigger than these doubts of mine. I'll fit all of these monstrosities inside and I'll come alive." Great tune. 7.) The Beautiful Letdown ~ A truly beautiful letdown to learn from this. "In a world full of bitter pain and bitter doubt I was trying so hard to fit in, until I found out I don't belong here. I will carry a cross and a song where I don't belong." Again with Tim's great bass! Jon originally wrote this as a gospel tune. 8.) Gone ~ What a fun song! From the painful truth to comedy, they even slip in a reference from their first album "The Legend Of Chin". "She said he said live like no tomorrow. Every moment that we borrow brings us closer to a God who's not short of cash." 9.) On Fire ~ Here's where the piano comes in and makes us all cry. "You are the hope I have for change. You are the only chance I'll take. And I'm on fire when you're near me. . .I'm on fire burning at these mysteries." 10.) Adding To The Noise ~ It speaks for itself. "If we're adding to the noise turn off this song." 11.) Twenty-Four ~ In my book this is one of the most beautifully written songs I've heard since, well, since they made their last album "Learning To Breathe". "And I'm not who I thought I was twenty-four hours ago. Still I'm singing, Spirit take me up in arms with you." What a beautiful way to end a beautiful CD. I would highly recommend you check out all three of their previous albums in addition to this one: The Legend Of Chin, New Way To Be Human, and Learning To Breathe. 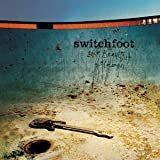 Switchfoot has been together for several years, producing album after album of some of the very best in indie rock music to date... and The Beautiful Letdown only proves Switchfoot's more than capable in keeping a fanbase interested after every release. The Powerful sounds of I Dare you to Move in particular (track 5) was re-done to be re-released (rightly so) on this album, as it has to be one of the most powerful songs I have yet to hear, from ANY artist. The songs range from a somewhat hard rock genre (meant to live), to slow melodic tones (on fire, 24). The title track A Beautiful Letdown is particularly interesting in it's usage of Bass riffs and loops. I could honestly throw an onslaught of fancy words at whoever may be reading this in efforts to get them buying their cd's... but realisticly, Switchfoot is simply a band one needs to check out for themselves. I can ASSURE you, this cd, as well as the others, are well worth the money and the time to check them out. 5 stars by every means! rock on. LoL.It's unbelievable how bad some people can slam such good talent.Switchfoot is unbelievable.A group that finally raises some eyebrows and catches you're attention.On The Beautiful Letdown it's like we're getting a taste of different styles of music.<br /> Examples:<br /> MEANT TO LIVE: This song is totally all rock;great,strong vocals, and guitars are all out on this one.<br /> DARE YOU TO MOVE: Is more Pop/Rock and sounds 100% better than the original,with such highly impressive vocals.<br /> ON FIRE: Now we get into a more heartfelt ballad, with beautiful lyrics,keyboarding,and powerful singing.<br /> <br /> Switchfoot has done everything in the book. Which is;Wonderful vocals,lot's of meaning,different musical ballads,and went straight to the heart. Jon Foreman is one of those rare artists who can sing Rock songs,and Slow ones just as well. An example of this would be ON FIRE.Most Rock Singers now a days can't really sing slow songs even when they try to. But Foreman has proven that he can. This is an unbelievable group. I love this CD. What more could be said? Meant to Live - great song. I can listen to it OVER and OVER again, and sing it with my friends and make a.... um... "joyful" noise. Sounds better when Jon sings it. More than Fine - about not settling for just being fine. Living life to live, not to just be not dead. Ammunition - truly well written, shows what a great songwriter Jon Foreman is. I guess if you don't like people screaming at you, you should be a little wary of this song, but you'll learn to love it. Dare You to Move - another one I sing with my friends and we don't sound so good. Off of the 3rd CD, very inspiring, motivating, thought-provoking song. Redemption - awesome song, "I've got my hands in redemption's song, Whose scars are bigger than these doubts of mine" pretty self-explanatory. The Beautiful Letdown - there's that humility again. I love the last part. "What a beautiful letdown, painfully uncool. The church of the drop-outs, the losers, the sinners, the failures, and the fools," describes us perfectly. If we were perfect, we wouldn't need Jesus. Gone - I really love this song. It's not, "life is short, so do every stupid thing you can before you die," it's "life is short, so don't hold on to the things of this world." On Fire - could very easily make me cry. "When everything inside me looks like everything I hate, You are the hope I have for change, You are the only chance I'll take." That means so much to me. Adding to the Noise - a good song, about how far ahead of itself this world has gotten, to the point where it's inventing things to push your cares away temporarily just because you're scared. "So if we're adding to the noise, turn off this song"
Twenty-four - so many lyrics in this song that catch my ear, I find myself listening to it over and over again. I love it. Well, I only gave very brief descriptions, because telling the meaning of a song is like giving away the punchline of a joke. It's for your interpretation, so you'd just better get it yourself. I recommend it... a lot. keep your jesus out of my rock! I bought this CD because I heard a track on a freebe CD and I was impressed. I brought it home and from the first listen I was hooked. These sisters have a very unique sound and a very positive message. Also, a big part of the appeal for me is the lead singer's voice. She is just fantastic! This is a CD for all ages (although it is probably geared towards teenagers). I am a 39 year old guy and this has a permanent place in my CD changer! Every song on this CD is great and I highly recommend it. If you want fun, uplifting, positive, catchy, great vocals, good songwriting, and something you can just crank -- then this is the CD for you. Good job Barlow Girls -- thanks for the effort - you chicks ROCK! Being a picky person, I rarely ever like the CD's I purchase or sample over my friend's shoulder. However, the songs are OUTSTANDING! I recommend this to you if you're planning on getting this CD. I was bothered by the editor's and even some of the customers' reviews that I had read about this CD. This is by far one of the best that I have heard. I have heard other praise and worship projects that offered nothing but entertainment, and not true worship. It does not matter to me if the songs on this recording were done in the eighties or the nineties. They still usher in the presence of the Lord. I find myself crying out "I'm desperate for you" whenever "Breathe" is playing. I find myself in tears whenever "Angus Dei" is playing because I can't help but recognize that our God is holy and worthy to be praised. I find myself craving for more of the presence of the Lord whenever "Draw Me Close" is playing. I would like to disagree with the Editorial review posted by Michael Lyttle. I think the comments made by him about Smitty's talent are definitely on track. However, his comments saying the album was flat and predictable are way off track. I think Smitty chose correctly by only including one of his original songs on the CD and not perform it with the others. The purpose of the concert was to record live a meaningful Praise and Worship event. Other artists were giving of their time with their recording companies blessing to help create a moment in time that would move other's. How could Smitty selfishly do something like play more of his own music when other's were giving selflessly? He was selfless as well. That intent was more than well met. This CD is absolutely awe inspiring. The way the songs flowed into each other from beginning to end could not have been more well thought out. I still get misty eyed when I listen to certain songs and not just Let it rain or Draw me close. From the beginning with the two girls reading scripture to the ending with More Love More Power, the presence of the Holy Spirit was obviously present. How else could you explain the powerful blending of artists who have never performed together as a group? They came together the day of the concert to perform. To my knowledge that was the only time they met. The way the voices flowed and meshed is nothing less than God planned. Think about it. No one voice other than Smitty's really stood out and that couldn't be helped because he had his own microphone at the piano. His blended in as well. Each song has hit me harder than when I heard the orginal artist perform it. I take this CD with me whenever I am helping my landlady out by painting or cleaning an apt. I listen to it at home when I do homework. It brings in the spirit of God in a way that I am sure He is pleased with. If he wasn't pleased, how would you explain the success of this event? Or the timing? There is no way Smitty or anyone could have predicted the events of 9/11 to happen. To have this spiritually moving event be released on the day of such a tragedy can answer the question where was God? He was there reaching out to help all of us with our grief and struggles when that tragic day happened. He was there when the recording was made and He's here with us now as you are reading this. Praise and Worship music is meant to help usher us into the presence of God in a way that hymns can't accomplish. It is meant to help us experience worship in a way that we haven't before. This CD does an outstanding job in answering that need. I love worship and Worship! 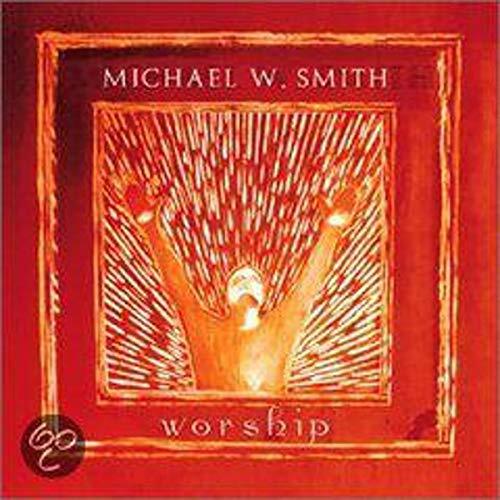 This CD is inspirational and it focuses on the true spirit of worship - Jesus - the Heart of Worship. Indeed, the true spirit of worship is not entertainment, or clever artwork, but all should be about giving thanks to God. This CD is all about giving thanks to God and being joyful in God's love for us. It is the best experience I have had with a CD! A must for anyone. The music is simply beautiful- and truthful. Even my non-Christian friends were impressed. I think this was Michael W Smith's best work. He didn't write a lot of new material like one comment stated. However, that didn't matter to me. This is a heartfelt collection of songs that give glory to God. Open the eyes of my heart, Above All, and Forever were my favorites. I have to admit that at first listen, I thought " Let it Rain " was the most repetitive aggravating song ever. It grew on me though. I did like the scripture reading in the middle of the song to break the monotony. This album is a must have for praise and worship lovers. Being a Michael W. Smith fan, in my humble opinion, this is his best yet! The cd is certainly reverent and has the depth that is lacking in the "feel good" music of other Christian "artists". The focus is our utter dependence on God and how helpless and hopeless we are apart from Him! Songs such as "Let It Rain" and "Crucified" point the listener to the supremacy and throne of Jesus Christ. In a collection like this it's difficult to point out the highlights, because the CD is simply an embarassment of riches. There is so much to like here, each track irresistable and instantly contagious. 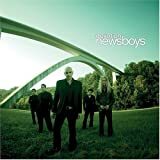 From the catchy opening smash "Shine" to the pop/rock stylings of "Breakfast" to the brilliant anthmetic ballad "Entertaining Angels" the quality of the Newsboys' finest does not relent. And for those die-hard Newsboys fans there is even more initiative to buy with three new recordings which show off the new maturity of the Newsboys music writing ability reflected strongly in their latest album "Love Liberty Disco" which unfortunately doesn't feature on this album because of its recent release. There is also included a rap/rock remix of "God Is Not A Secret" featuring dctalk's Toby Mac on rap and spice, which shows just how remarkably diverse this band is in pulling in dynamic riffs and melodies from many music genres. However it is their immense ability to write incredible pop melodies that is the essence of the Newsboys success, which is highlighted beautifully in the masterfully crafted "Mega Mix" which bounces from progressively brilliant riffs that have now become Christian music history. The Newsboys have definitely been one of the most influential and well-recognized Christian rock/pop bands. Since the band was founded back in 1988 they have written many songs that have gained wide recognition, such as "Shine", "Breakfast", "I'm Not Ashamed", and "Entertaining Angels." And finally, with eight albums to their name, the Australian-based band has compiled an album featuring the best of their music, Shine:The Hits. 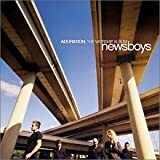 This disc features 13 of the Newsboys' greatest hits as well as three new recordings and a compilation of eight landmark songs, entitled "Mega-Mix." A few of the classic songs have been remixed or enhanced. For instance, the boys' signature hit, "Shine", has been enhanced with more background vocals, more guitar and keyboard parts, and an enhanced rhythm section. The song "God Is Not A Secret" has been remixed into a powerful techno-rock track and features Toby McKeehan of DC Talk performing rap sequences and background vocals. The new recordings, "Joy", "Praises", and "Who? ", are very well-done and well-written. The "Mega-Mix" track is an eight-minute long fun, moving techno-rock recording that is a melding of eight signature hits, "Shine", "WooHoo", "Take Me To Your Leader", "Breakfast", "Step Up To The Microphone", "Entertaining Angels", "I'm Not Ashamed", and "Reality". This album also features an upbeat classic-rock track from the boys' 1988 debut album, Read All About It, entitled "I Got Your Number". 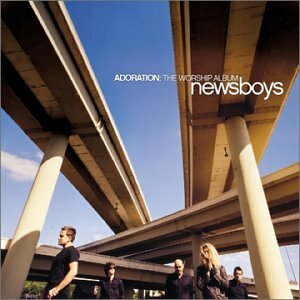 Having given an idea of what's on this disc, I must say that this is one of the best Newsboys albums to date. This is a HUGE improvement over the 1999 release, LoveLibertyDisco. In fact, Shine:The Hits features no LLD songs at all. If you disliked the LLD disc because of its softer, calmer style you're bound to love this CD. All the favorite Newsboys songs plus four awesome new tracks. 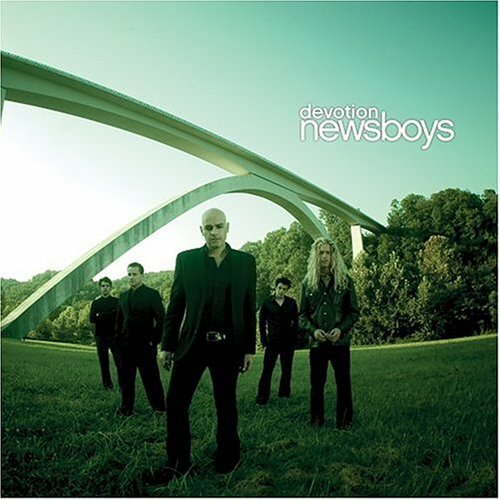 This album shows how far the Newsboys have come throughout the course of their career. The musical style widely ranges from the early '90's synth-rock of Not Ashamed to the aggressive modern rock and pop of Take Me To Your Leader and Step Up To The Microphone. The songs sound great and there isn't a single dull track on this album. Lead singers Peter Furler and John James have amazing voices, drummer Duncan Phillips keep a steady rhythm, guitarist Jody Davis' electric riffs add great punctuation to the music, bassist/vocalist Phil Joel adds great depth to the music, and keyboardist/programmer Jeff Frankenstein adds the final touches. The Newsboys are definitely a band with talent, and God has greatly blessed them with a wide audience and a strong witness. Honestly, I don't have any negative comments about this album. It's just plain awesome. It is bound to be a best-seller. Whether you're a devoted Newsboys fan or you've only heard a small amount of their music, there's much to enjoy on Shine:The Hits. And I like it! and I like it yeeeaaaah, yeah, yeah, yeah! As I stated perfectly in my list (check your local listmania guide), this album is THE premier greatest hits album for probably THE greatest Christian band. Pick it up, that's all I can say really. No matter how long you've been a Christian, "Shine" has been a staple on our listener supported radio stations. Going platinum plus, this album is carried by EVERY POPULAR NEWSBOYS SONG EVER. Shine:Hits doesn't leave out any of there 16 hit singles. But I love quirky reviews, so here enough with the fan crap. Take an Australian band that loves your 80's type music (see Erasure, Pet Shop Boys, INXS, Smiths, Etc. ), give them bad/thick accents, grow the hair out and you have an ample example of pop. As you listen to "Joy" and "Take me to your leader" you can't help but feel the cheesy and corny virus move throughout your body. It's these happy feelings that let you know the Newsboys are good at what they do. Some songs almost sound too Erasure-esque, particularly "I'm Not Ashamed". I gave this album five stars for representing a band perfectly in a greatest hits album. But be warned, if you don't like happy pop songs, you will laugh this album off. Arguably the Families favorite CD period. This CD rocks, its light hearted, makes you laugh and gives you goose bumps through the power of the music and its message. It is safe for all audiences except maybe an atheist organizations commissioned fund raisers. 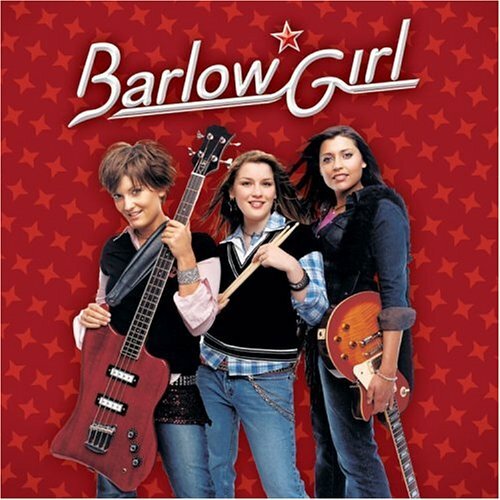 If someone was buying their first Christian band CD and likes Rock and Roll I would recommend buying this one first. This group has been around since the late 1970s. They caught the Christian Revival - Rock and roll wave in about 1995 with Shine. The words of that song tell a story that hit the hearts of believers. The CD includes most of their early successes and is one of the best albums ever made.. should be a must buy. Released in 2000, The Hits was followed by Thrive. Fans must have wondered, so now what guys? The jury is in, Thrive is great. Cut 17, the Mega-Mix is great fun. 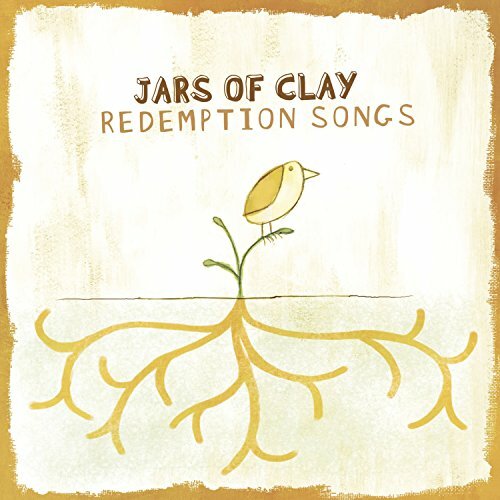 I am a long time Jars of Clay fan, and their last CD of new music, "The Eleventh Hour," is probably my favorite album to come out in the last two years. So my expectations were high when I put "Who We Are Instead" into my CD player the first time. After one listening, I wasn't sure; it is pretty different after all. After two, I was starting to get excited. And by halfway through the third, I was grooving to the music and having a blast. The songs unfold so easily from one another that the whole album slips by and it's hard to believe you've been listening for 50 minutes. The music has a distinct Jars sound but with a large dose of country and gospel rhythms thrown in. Right now, my favorite tracks are those where the country-gospel sound is strongest: Trouble Is, Amazing Grace, Only Alive (and this is coming from someone who doesn't own a single country or gospel album). But the songs really belong together. Aside from the first few weeks with a new CD, I usually listen to two or three CD's at once, with the player randomly picking songs from each. But I have a feeling that I'm going to be playing "Who We Are Instead" on its own, straight through for a long time to come. I love the mood it puts me in. So, if I enjoy it so much, why does it only get four out of five stars? Because it is brand new, but that is the only reason. You can only know so much about an album after a couple days. To get five stars from me, I have to have enjoyed an album over a longer period of time, more like a year. Cheers to the boys from Jars! The moment I heard the funky electric and catchy drum beat opening up the album, I knew that I was hooked....again. I'll admit that I am slightly biased because I am a Jars of Clay fanatic. This album continues the streak of excellence that began with the release of Jars' self-titled debut in 1995. It is really eye-opening to listen to how they have matured both musically and lyrically since that first album. Each album explores a different lyrical theme to go along with a slightly different musical theme. Who We Are Instead might be the biggest musical leap that Jars has taken yet. This album explores several new musical styles. And they make it all sound very good. These guys are some seriously talented musicians and songwriters. This album comes across as being straight from the heart. Who we are instead is a great album with the Jars usual variety of songs ranging from melancholy to cheerful. "Sunny Days" starts things off with their familiar upbeat happy tone. The Jars venture into a southern blues sound with "Trouble Is" which is a wonderful venture into a different sound. There is a usual more serious tone with songs such as "Faith Enough" and "Lesser Things". But even when serious the Jars always have a ray of hope in their music. For longtime Jars fans this album will carry them back to their first album. At least for me, this seems the most like their extraordinary debut album. For new Jars fans get ready for a wonderful ride with a great band that is a cut above. Most fans would agree, Jars of Clay offers an alternative sound and darker side to most happy sounding christian artists (Newsboys, Rebecca St.James). From "Liquid", "Crazy Times", to even the most worship-sounding "I Need You" you can feel the urgency and lyrical touch that other groups can't quite deliver. It's this difference that gives fans their fix for music that doesn't ask, "What can I do for the world?" but begs the question "Why haven't I been bettering this world and when am I going to get off my 'explotative deleted' and start." Enter Who We Are Instead, which is a more mature and grace filled as any album can get. From "Sunny Days" to "Show My Love" you can feel the light shining through after the flood. With heavy blues influence in "Jesus Blood...", "Trouble Is (the somewhat Title track song)" and "My Heavenly" you will be amazed with the artistry and Jars ability to step away from their all-to-comfortable sound with their newer style. Foot tapping, rock n' rollin' is every present on this albumn with Eleventh Hour sounding tunes such as "I'm in the way" and "Sing". If you want an albumn that will give you a sense of relaxation from the tension of our sin torn world, Who We Are Instead is a great release. Just remember to wear warm clothing while listening to "Amazing Grace" for the first time. The shivers down your spin will chill you for weeks. Jesus Lives. It's a well done album! I am pretty new to Christian music. I had never heard of Amy Grant until "Heart in Motion". I've never listened to Christian music. 6 months ago, I decided to buy one of her earlier albums. After listening to it ("Age to Age"), I decided to buy another...and another...and another.... You get the picture. I couldn't get enough of this wonderful artist! Then I bought the collection because I still hadn't purchased her entire discography yet but was anxious to hear other songs that I hadn't heard yet. This collection is wonderful! It's a nice mixture of upbeat/rock songs and slow touching ballads. Amy's whole style is so accessible to all listeners. I was pleasingly surprised at the end with the "Ageless Medley" where she re-records her hits and incorprates them all in one spectacular song! Amazing album! 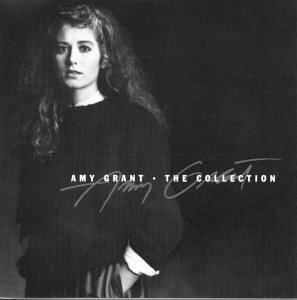 Amy Grant's "Collection" has been a part of my life for as long as I can remember. My older sisters loved her music when I was little, and they've passed that love on to me. Amy's albums have always been intelligent and hummable; this "Collection" just happens to have more of her most outstanding songs than any other. Indeed, it's stuffed to the gills with inspirational lyrics and lovely melodies. Every song is so much fun to sing along to, and they just get better with age, like a shoe that conforms to your foot and keeps getting more and more comfortable (unlike a shoe, though, this album will never wear out!). This is an absolute essential for any Amy Grant fan, and a marvelous addition to anyone's music collection. Don't believe Amy Grant's Christian credentials for one second. It's all lies. Read the lyrics to "Ageless Medley". She says and I'm quoting her, "El shaddai". That's Arabic for "murder children"! That's not Christian at ALL!!! Amy showcases her inspirational material on this nicely-produced album, available just after the success of "Unguarded." However, the set opens with a rather odd couple of love tunes that really don't sit well with the bulk of the work. While I really enjoyed "Stay" and "Love Can Do," it was clear Amy was on a different path than the typical AG listener had come to expect. I, for one, was a little alarmed that she would make distinctly "secular" music, but at the same time proud of her for her chutzpah. Many Christians at the time had a hard time wrapping their arms around her with this step. Time eventually proved her instincts right, as she continued to please and inspire listeners from both inside AND outside the church walls. When you talk about "cross-over" artists, Amy is the real deal... she can make us weep AND dance! "The Collection" rates a B+, and introduces new fans to what Amy was up to before the dalmation jacket. I wonder what she currently thinks of her image from those days? Maybe a lot like I remember about myself: "What was I thinking?" It's all good, Amy.